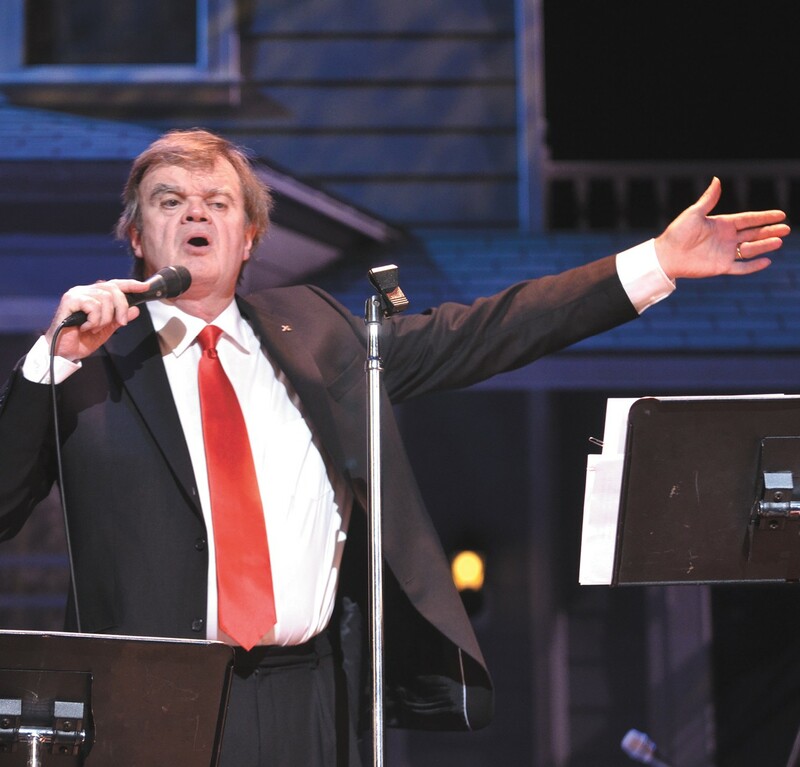 Describing his current tour, Keillor says: "It's a variety show, but without the guest acts." Considering Garrison Keillor's high-profile 2016 retirement from hosting long-running radio show A Prairie Home Companion, and his turning 75 just a few days ago, one might think he would shuffle off to find a real-life Lake Wobegon and relax until the end of his days. Turns out, the end of Keillor's most high-profile gig just means more time to scratch the creative itches that have helped make him one of America's favorite humorists (as well as a reviled one among some hipper-than-thou naysayers). He's doing columns for the Washington Post, he continues to host the Writer's Almanac radio show, and he's in the midst of a national concert jaunt called Garrison Keillor's Prairie Home Love & Comedy Tour, which stops in Spokane on Wednesday. As Keillor describes through an email interview before hitting the road, his new show differs from doing a Prairie Home taping, but longtime fans will find a lot to love. "It's a variety show, but without the guest acts," Keillor says. "No yodeler from Yakima, no cornetist from Coeur d'Alene — just the band and Rich Dworsky and Fred [Newman, sound effects man] and Aiofe [O'Donovan, singer] and me, but a great variety still. A gospel song, a demented dolphin or two, a string of limericks, some intense love duets in which we manage to keep our hands off each other, a hot band, a meandering story about the first girl I loved, and an intermission during which the audience stands and sings a cappella beautifully some old songs we've always known." Sounds pretty idyllic as far as a night out — no shock given Keillor's knack for stories evoking simpler, often better times, even when there's a darkness lurking underneath the happy smiles and bucolic Minnesota scenes he sets. While a 28-show tour is hardly relaxing, Keillor still gets excited about the prospect of seeing the country, "like a class field trip in 8th grade." Unlike the old Prairie Home radio show, on this tour he can perform largely the same production in different towns. But Keillor still manages to change things up enough to keep it interesting for himself, and the audiences. He mentions doing the news from Lake Wobegon "and feeling it evolve, characters drop out, dramatic twists appear." "A radio show is a one-time deal," Keillor says. "Two hours and you're out, and it's luxurious to be able to do the same show night after night. Every night I try to come up with a sound effect that Fred Newman can't do — a French musk ox with hiccups, a talking toilet, a robot carrying a tray of martinis who falls off a cliff and is swallowed by a whale — and sometimes I succeed." Just before the Spokane show, Keillor and Co. will have a rare day off, and Keillor says he'll sit in his hotel room and work on a Lake Wobegon screenplay. But don't expect to see him lollygagging around the Davenport fountain. "We stay in economy hotels," Keillor says. "Holiday Inn Express, Union Gospel Mission, and I like that dormitory feel. A desk, an adjustable chair, a power outlet are all you need. They're a little bleak, but that helps you focus on your work." Among the work Keillor tackles on the road are passages for a memoir he's penning, although when he'll actually finish it remains up the air. He tells his editor it'll be done "as soon as I stop remembering things." Asked whose memoir he'd like to read, Keillor's answer surprises: deposed White House Press Secretary Sean Spicer. "Here is a respectable, hardworking Republican publicist and handyman who in a few short months was made an object of ridicule, largely because he was charged with defending the indefensible." No doubt Keillor's focus on the White House is result of his gig writing weekly Washington Post columns, 750-word essays he tries to infuse with "humor and passion ... something righteous and playful." Asked if the current president is a boon or a curse for his columns, Keillor he doesn't "think much about the Current Occupant." "He is who he is, a rather vulgar rogue without a religious bone in his body, a braggart and a bully, but he seems too weak and unfocused to cause a great deal of harm," Keillor says. "He poses a real challenge to the Constitution, and we shall see if it is strong enough to resist." Those attending the Love & Comedy Tour probably won't hear Donald Trump's name, but it wouldn't be shocking to hear some tales of one of Lake Wobegon's citizens who recalls the man. Keillor, though, knows that people visit his shows and his fictional community to get away from the day's real-life travails. He doesn't aim to disappoint them. "People want to be surprised and they want to feel good," Keillor says when asked about designing his live shows. "I don't do devastating satire — that's for 22-year-olds — and I don't do incomprehensible or self-loathing.